Dr. Marc Malek helps his patients realize their ideal faces and bodies through artfully performed plastic surgery. 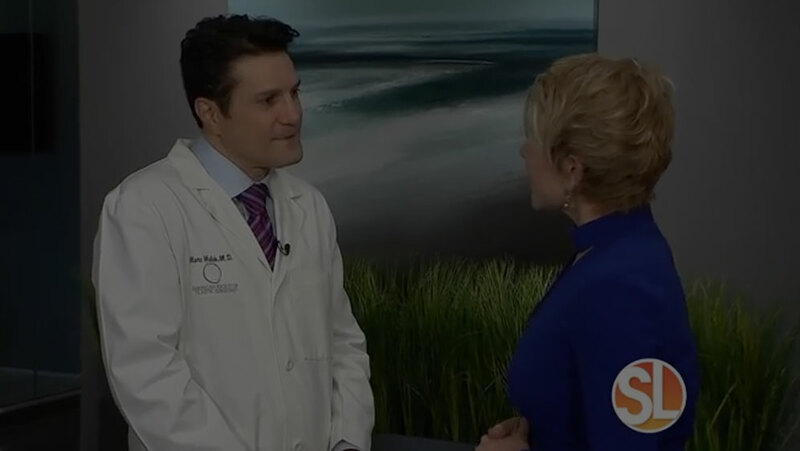 As one of the top plastic surgeons Scottsdale has available, he is a double board-certified plastic surgeon known for his refined results that keep his clients looking and feeling their best. With years of experience performing restorative facial procedures including facelifts, brow lifts and eyelid lifts, along with cosmetic and reconstructive rhinoplasty, few surgeons are more qualified than Dr. Malek to help you achieve your aesthetic and anti-aging goals. As the popularity of plastic surgery in Phoenix continues to rise, Dr. Malek is as committed to a natural cosmetic results which sets him apart form the rest of the surgeons coming to the area. He goal is to never eliminate the very essence of you with plastic surgery and is instead heavily influenced by your facial anatomy and identity. As such, he tends to embrace subtle enhancements to your soft tissues and bone structure that have a remarkable impact on your overall appearance. There is only so much that diet and exercise can accomplish. The body is constantly evolving with age and weight gain, and sometimes lifestyle modifications can fall short. When this occurs, a body sculpting procedure designed to target your unique problem areas may offer the ideal solution. At Dr. Malek’s office, there are a wide range of body procedures to choose from – including total body lifts, liposuction, tummy tucks, arm lifts, custom mommy makeovers and more. Regardless of the treatment you select, you can trust that Dr. Malek will approach your surgery with the utmost care as he sculpts your ideal figure. As one of the best plastic surgeons in Scottsdale, Dr. Marc Malek will not rest until you have met your cosmetic goals. As a board certified plastic surgeon, Dr. Malek’s expertise in cosmetic breast surgery is truly second to none. He is known as one of Scottsdale's top breast surgeons for his ability to sculpt beautiful breasts that look and feel extremely natural. Whether you want to add volume with an augmentation, elevate your chest with a lift, or reduce the overall size of your breasts so that they are less painful and more manageable, Dr. Malek is a terrific surgeon to have on your team. He will guide you through the entire process and help you make the right aesthetic choices based on your anatomy, body shape and lifestyle. Dr. Malek will also be honest with you about the procedures you need. If it’s possible to achieve your ideal chest with a simple augmentation or reduction, that is all he will perform. However, if you also require a breast lift to achieve your desired results, he will make sure you understand and are comfortable with his recommended approach. In the end, Dr. Malek will help you make decisions that will help give you the figure you want. In addition to possessing both the skill and artistry necessary to perform virtually any plastic surgery related to the face and body, Dr. Malek is also a trusted provider of the latest non-surgical rejuvenation treatments – including microdermabrasion, laser skin resurfacing, non-invasive body contouring and more. Not only do these innovative techniques deliver terrific cosmetic improvements on their own, but they can also be used to finesse and preserve your surgical results. 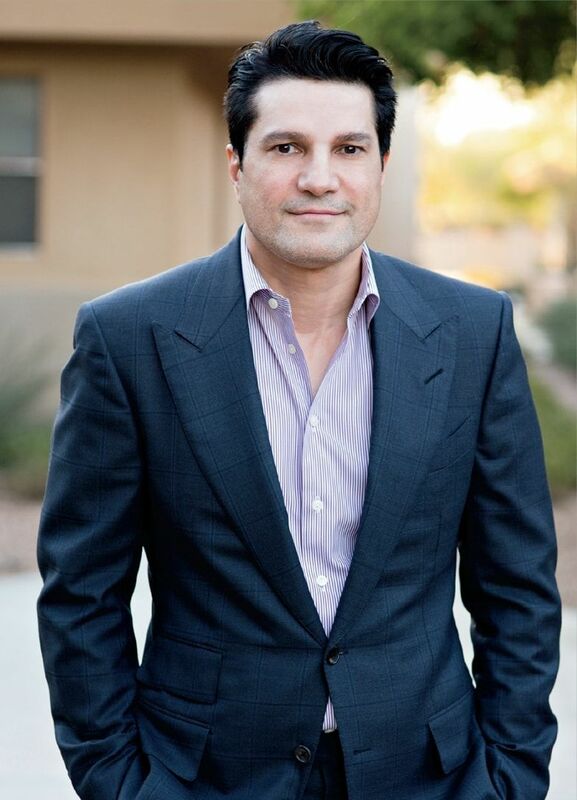 Dr. Marc Malek is an award-winning Scottsdale plastic surgeon. A graduate of the University of Arizona, he performed his residency in general surgery at the University of Missouri in Kansas City and completed a prestigious fellowship program in plastic and reconstructive surgery at Wake Forest University Bowman Gray School of Medicine. In his practice, Dr. Malek focuses on the power of reconstructive and aesthetic surgeries to sculpt his patients’ ideal figures and restore their youthful faces. He is particularly sought-after for his expertise in body, breast and facial procedures, along with his ability to achieve the precise transformations his patients seek. Dr. Malek specializes in several popular procedures in the field. He utilizes his personal and artistic approach to deliver the right results of each patient. He and his team work on helping patients attain a more confident, comfortable, and proportionally balanced body. We create an office environment that is completely focused on crafting fantastic, long-lasting results. Enjoying an improved figure does not have to come at the cost of comfort and convenience. Our team is committed to working around your schedule and ensure you are provided with a satisfying level of care. Dr. Malek promotes a healthy lifestyle for his patients. Some of his treatments are only performed when the body is in excellent physical shape. There are some problems that cannot be remedied with a strict diet and exercise routine, this is where surgery is most needed. As an experienced surgeon who has worked with numerous patients, Dr. Malek will make sure the right treatment is being performed on your body. Modern aesthetic technology makes it possible to achieve results that are far superior to what was possible in the past. The most critical point in achieving a stunning result in face, breast, or body enhancement lies in the experience, skill, and meticulous care with which the procedure is performed. At his private, luxury plastic surgery clinic in Scottsdale, Dr. Marc Malek offers a full spectrum of surgical and non-surgical procedures to restore, rejuvenate, and bring out the best in your natural features. A meticulously performed surgery in combination with our non-surgical treatments will take years off your facial appearance, enhance your breasts, or sculpt or lift any area of your body. You no longer will be forced to accept the signs of aging – you can maintain a fresh, rejuvenated, youthful look for years. You have a unique physiology, body structure, and facial features. Dr. Malek is known for his remarkable ability to highlight your most attractive features with subtle surgical procedures, performed with attention to every detail. His ability to consistently exceptional results in surgery lies in the thorough and careful planning of every procedure. We want to bring out the best in your face and body – and create a result that appears natural, not pulled, stretched, or that alters the fundamental structure of your face. Feeling confident in your face, breasts, and body raises self-esteem. Whether in your social life or business life, it helps to know that you look your best. Whether you want to restore your body after pregnancy and breastfeeding, have the breast size and shape you always wanted, or are ready to take the journey to a younger-looking face and body, you can trust the exceptional skill and delicate techniques of Dr. Malek and his staff. The journey to a more aesthetic and alluring look should be a pleasure. At our exclusive Scottsdale plastic surgery clinic, every detail was built around providing a positive patient experience, from start to finish. You are invited to discover the place where a “new you” can be achieved – and where your vision can become a reality. Plastic Surgery: What You Need to Know About Certification. A board-certified plastic surgeon has dedicated an average of sixteen years to advanced medical education and training – just the first step in achieving board certification as a plastic surgeon. Once the entire education and residency are completed, to become certified requires a lengthy and comprehensive two-day oral and written examination to evaluate scope of knowledge and understanding, ethical standing, and the physician’s approach to patient health and safety. Who Can Perform Plastic Surgery? Many other medical professionals offer cosmetic procedures, including MDs – who may market their practice as a “cosmetic surgery” practice, but have not undergone the extensive specialty training of a board certified plastic surgeon. If you are planning a cosmetic procedure, qualifications matter – in a big way. You want a result that you love, not a disaster that requires revision surgery. Dr. Malek, a board-certified plastic surgeon, is often called upon to repair poorly performed cosmetic surgeries. Always check for board certification as a plastic and reconstructive surgeon if you are planning a cosmetic procedure. During training, a plastic surgeon is working full time, and spends about 3,000 hours of hands-on practice under the training and supervision of a senior, certified plastic surgeon who is overseeing all of their work. One indicator of lack of board certification as a plastic surgeon who offers a “cut-rate” deal, but as the saying goes, you get what you pay for. Another indicator is that the medical professional offering cosmetic services who is not a board certified plastic surgeon will not have hospital privileges – almost all hospitals require plastic surgery procedures that are performed at their facility to be board certified reconstructive and plastic surgeons. Board certification is only awarded by the American Board of Plastic Surgery – no other group or entity with a similar-sounding name. Did You Know? Not All Who Call Themselves Plastic Surgeons are Board Certified. Unfortunately, there are many medical “boards,” and an MD can present themselves as a “plastic surgeon,” but have not gone through the extensive education and training of an actual board-certified plastic surgeon. You have the right to know the certification of a medical professional who offers a surgical procedure – just ask. A licensed MD has been educated in some surgical techniques, but not even close to the extent of the training required to achieve board certification as a plastic surgeon. A board-certified cosmetic surgeon is significantly different than a board certified plastic surgeon. Certification from the American Board of Medical Specialties does not issue certificates for “cosmetic surgery.” However, an MD is not violating the law by calling him or herself a “cosmetic surgeon.” The question is, does he or she have the experience, knowledge, and advanced techniques that will produce an excellent result? Dr. Malek is an accomplished plastic surgeon who is known for his artistry and ability to create an aesthetic outcome in advanced cosmetic surgical procedures. He has dedicated his professional career – and years of his life in education and training – to achieving the highest quality possible in plastic surgery for face, breast, and body. You can trust Dr. Malek to focus on health and safety, and to perform your procedure correctly and with utmost attention to detail. "I have to give Dr. Malek and his staff a 100% positive recommendation." Along with traditional breast enhancement surgeries, Dr. Malek is highly regarded for his skill in performing delicate revision and reconstruction procedures. Many patients visit Dr. Malek’s office for the first time for help fixing the mistakes of their previous plastic surgeon. After a poorly performed augmentation, lift or reduction, a number of complications can arise. The implants can shift, ripple or appear visibly artificial, or the breasts can be uneven or positioned abnormally on the chest. In all of these cases, Dr. Malek will assess the situation, figure out exactly what went wrong, and devise a plan to fix the issue while creating the beautiful chest you wanted the first time around. Dr. Malek is also very experienced in performing breast reconstruction surgeries for his patients. After the emotional, physical and psychological toll of a mastectomy, he can help you regain your identity, confidence and feminine figure after breast cancer. He will guide you through the process with the utmost compassion, helping you choose the right implant shape, size and type to ensure that your breasts are reconstructed exactly the way you want them.